A.L.S. lock change provide professional lock changes and a lock replacement service throughout Glasgow and surrounding area. If you're thinking about changing locks, be it a new home or need new keys due to unfortunate circumstances then consider using our locksmith company to change your locks. Sometimes lock changes need to happen quickly and we can help. As experienced lock change locksmiths we can carry out the lock replacement with ease and with the minimum of disruption. If you require speedy lock replacement then we can help. We will go out of our way to meet your requirements and complete the job efficiently and with haste. For this reason A.L.S. 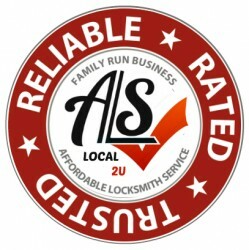 Locksmiths offer a fixed rate lock service with no call out charge. All our locks come with a years guarantee for peace of mind. If you've just moved or have bought a new home and are concerned about keys - namely who has spares? Then we can help. Our quality lock service can not only replace your external door locks but also upgrade your door and window security to meet current 2007 insurance standards as laid out by your home insurance provider. A.L.S. can replace lock cylinders to your existing UPVC, composite and aluminium doors, to give you better security where you need it most - your home. Standard lock cylinders can be bypassed by snapping the lock in seconds but by providing high security locks like the Ultion, A.L.S. can improve the security on your door and prevent unlawful entry into your home. Please visit our high security lock page for more information. If you have timber doors and have Yales fitted then these can be upgraded to British Standard BS3621 insurance approved locks. If however you have an insurance approved lock like a mortise deadlock fitted you may not require this upgrade. If you call us we can advise you and we wont fit anythink you don't need. 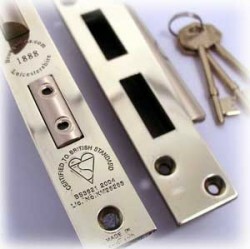 Insurance companies now prefer British Standard locks compliant to British Standard BS3621 2007. If you prefer one key to work in all locks then these locks can be keyed alike, so you can use the same key for all doors. For more information please call 07712445612 and ask for Steve. Free of any obligation.